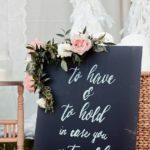 ﻿ How to Get Creative with Your Wedding Invitations in Sydney? Love or arranged weddings are always unique. It celebrates the decision of two people committing to stay together, for a lifetime. And it is essential to celebrate not just the day, but everything associated with it. You need to add that special and creative touch to every wedding preparation that you make. Once the necessary planning gets done, you can start with the invitation cards. Today, you can announce your wedding dates and other events in a card and present it beautifully and creatively. There are brands to get you organized in this. Before you select the wedding invite template, make sure to plan all wedding event details. Fix the date and decide on the events, such as engagement party, couple’s shower, welcome party, Rehearsal dinner, wedding ceremony and reception, after-party and many more. Decide on your wedding theme and implement the same. Also, make a list of all the guests that you’ve invited. Assign one or two people to manage the arrival of guests. These two people are contact persons for your guests. 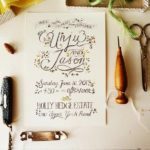 You need to know all these to present in your wedding invitation. Once you are equipped with all these facts, you can research online to find the best service provider. 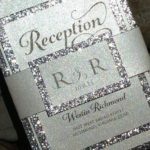 Draw up a list of three or five and then arrive at one wedding invitation card provider and share your requirements. You can wait for the company to provide you sample wedding invitation formats and then select based on your preference and budget capacity. These cards come with “save the date” as well as “RSVP” choices. You can also include wedding menus, pre-event details as well as seating plans. Allow your service provider to guide you. An ace service provider enables you to select from some of the best wedding invitation formats. You can sync in the wedding invitation theme and design with your wedding theme. 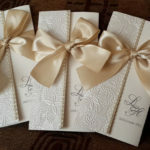 For instance, if you have decided on a garden style or a rustic wedding theme, you can select the nature, floral and romantic patterns in your invitation cards. 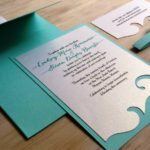 Furthermore, when you decide on a beach wedding or a vintage wedding, you can choose from an abstract and foliage pattern wedding invitation respectively. There’s something for every wedding theme and requirement. Some couples want to add that classic and signature touch to their wedding! If you want the same, you can keep a wooden wedding card invitation at the venue, having all the event details. You can order a handful and place it across the venue for the people to refer and check the details. Different creative wedding invitation differs in their price range! If you have a budget to maintain, you can opt-in for the affordable options and add to the overall spark and aesthetics of the wedding.